There is a revolution brewing that redefines the value of humans in complex living systems. 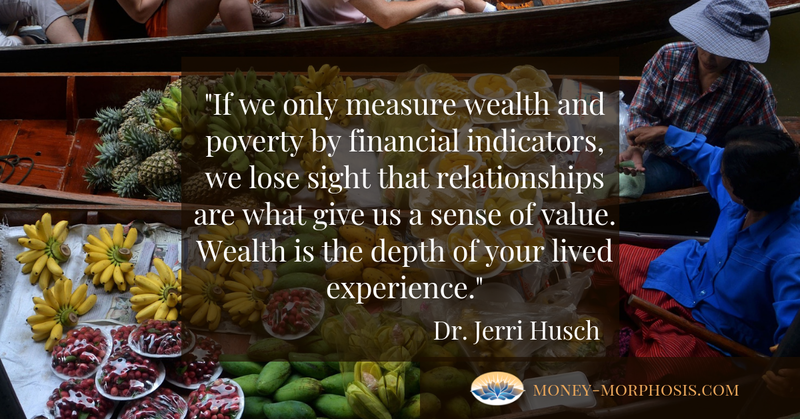 How we measure wealth and poverty influences both policy and behavior. This is why conversations about money and purpose are critical during this transition. We especially need to acknowledge how women are asserting their power to create true wealth around the world. 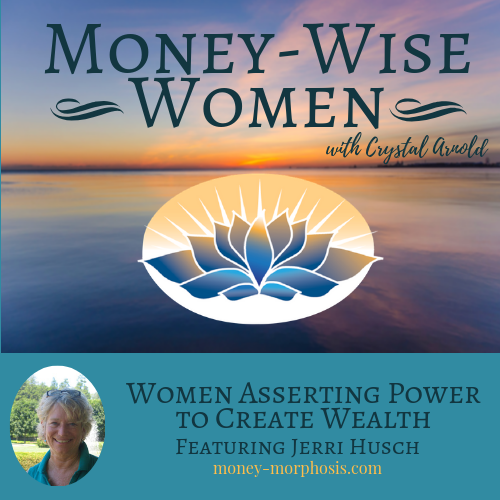 “Money-Wise Women” guest Jerri Husch holds a Ph.D. in sociology and has over 25 years experience as an international management consultant, scientist, and policy advisor. She is a United Nations systems specialist and has worked with the World Health Organization and many private and public institutions. Jerri explains how unregulated capitalism affects people’s interior emotions, beliefs, and behaviors around the world. As a scientist, Jerri has studied the history of human adaptation.She reminds us that humans have always been mobile and curious, and she shares secrets to becoming more resilient. She is a radical optimist because of the capacity of humans to be creative. Climate change is evoking a regenerative culture that will replenish our society and Earth. Women’s power looks different around the world. Jerry says, “What makes somebody powerful is the way they are able to navigate relationships. You have power in relationship to others. We need to examine how that is used.” Because we are not properly valuing the caring economy, much of the women’s contributions in U.S. households goes unrewarded. In America, we have significantly less support for parenting than the Nordic countries. Jerri lived in Finland and discusses the greater sense of collective responsibility to care for both children and neighbors there. Collaboration is an effective way to create interdisciplinary linkages that invite us to think and act differently. When you are creative, curious, and connected, the social and environmental challenges become less daunting. We saw this wave of women rising to power in the 2018 American midterm elections. These feminine leaders are weaving a more just economy for all. 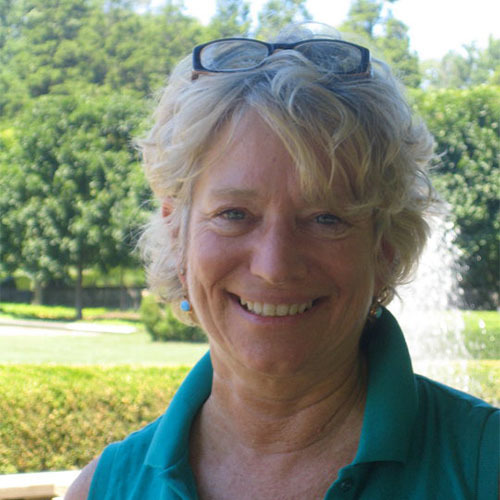 Jerri Husch holds a Ph.D. in sociology and has over 25 years experience as an international management consultant, scientist, and policy advisor. With a focus on transforming “policy to practice,” she focuses on the socio-cultural components of international development, human rights, public health, global food policy, climate change, and livelihoods. Dr. Husch has worked around the world in both the private and public sector and is a UN system specialist having worked with WHO, UNDP, UNICEF, FAO, and the UN Secretariat. Her work in accountability, leadership, and decision making fuels her interest in methods that can visualize data linkages in complex social systems. As an artist, trained chef, and “urban agriculturalist,” she explores markets, collects seeds, and invents new recipes for risk-taking friends.